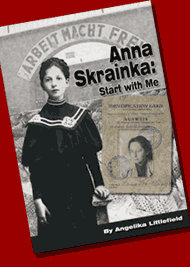 The book about Anna Skrainka and her family is based on her 36 page memoir. Chapters take readers through her life in Vienna and Hamburg before Terezin. The mentorship project with novelist-poet Alison Pick (www.alisonpick.com) through the Humber College of Creative Writing (www.humber.ca/scapa/ ) accompanied me to Africa and Tristan da Cunha. 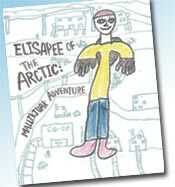 I enjoyed having the electronic company of a young author who’s written about the Holocaust and more. I started the important move towards the creative part of ‘creative non-fiction’. The original manuscript, written in art history mode, shortened and picked up much-needed dialogue. Hell, the characters all started to speak at once and I’m still sorting them out! I’m currently in editing mode, hoping to have a version to float by literary agents later this year. Here’s the first chapter with SOME of Alison’s comments still there. Since I acted on her suggestions, you’ll find things missing. Read on to see how it works because you too might want to take Humber’s web-course, the Creative Writing Mentorship Program. Tom Thomson’s Fine Kettle of Friends TODAY! May take a few moments to load page, faster to just click Books in the links above. Local book clubs, we need you! Indie Author Day 2019 at the Pickering Central Library on October 5, 2019 will include a BOOK CLUB PANEL with representatives from 5-6 book clubs discussing: How We Make Our Selections. This is a great opportunity to highlight who you are, what you do and what makes a book 'speak to you'. Bring your entire book club to hear you speak and to meet and interact with local authors. 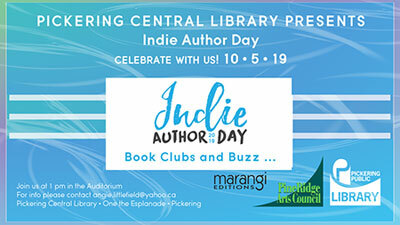 The third annual Indie Author Day is sponsored by the PineRidge Arts Council, the Pickering Public Library and local Indie Authors. Watch for detail on PineRidge Arts Council's website HERE. September 30 | Books Galore175 Perry St, Port Perry, ON L9L 1B8 with Lucy E. Black at 1 pm. October 13, Indie Author Day, Sat. 11-5 pm with panel on "Discoverability" at 1 pm. Book display and sales in the auditorium. More details HERE. October 23 at noon, Member of the Day, Heliconian Club, $25. Angie talks about projects past and present. November 19, 11 am, Featured speaker for Scarborough Federation of University Women "Tom Thomson and Women"
More dates and locations to come for: Algonquin Park, Chatham, Comber and maybe Oshawa, St. Catharines and Ottawa. I received help with research and photo permissions from descendants connected to Tom Thomson, his friends and relatives. It was a pleasure emailing with: Jane Cauffiel, a descendant of Arthur Lismer; Sylvia Telford, a descendant of the Hayhursts of Canoe Lake and Paul Gauthier, son of Joachim Gauthier, a friend of Franklin Carmichael. They generously provided photo permissions. I visited with Paul Simon, a descendant of Tom’s female friend Elizabeth McCarnen, Jaffray Rutherford, a descendant of the Thomsons’ neighbours in Leith and David Ainslie, a descendant of the Ainslies of Comber, a family into which Tom Thomson’s nephew married. Each person told fascinating family stories that enrich the knowledge we have of Tom Thomson’s life. 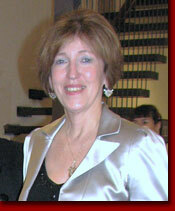 Helen Young, Margaret McLaughlin, Kay Morrison and David Thomson are direct Thomson or Matheson descendants. They were incredibly supportive with either Fine Kettle of Friends, The Thomsons of Durham, or both books. Their knowledge and resources are invaluable. Thanks to all the relatives who help inform the reading public about the fascinating life of Tom Thomson, his friends and neighbours! Thanks to them for enhancing Canada’s history. Mary Cook, PRAC’s media guru and all-round helpful person, recently partnered with author Angie Littlefield to establish Marangi Editions. The first official book for the new imprint launches spring 2017 at the Heliconian Hall in the Yorkville area of Toronto. Look for Tom Thomson’s Fine Kettle of Friends: biography, history, art and food. 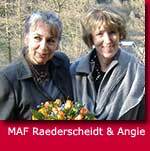 Angie and Mary have worked together before. They produced seven years of free educational material for Remembrance Day--available at all times on readingandremembrance.ca. They created Tom Thomson’s Toronto Neighbourhoods, a free e-book on angielittlefield.com in 2010. That book is now in its second, improved edition in e-book and print formats. The print version of Tom Thomson’s Toronto Neighbourhoods is available in a bundle with the 2005 book developed for the Durham West Arts Centre: The Thomsons of Durham: Tom Thomson’s Family Heritage. The 100th anniversary of Tom Thomson’s death in 2017 will focus a great deal of attention on Canada’s iconic artist. Ontario Tourism is supporting Cultural Tourism related to Tom Thomson and the Group of Seven in 2017. Parry Sound and Huntsville will be two Thomson ‘destinations’. Ontario Art Galleries are also preparing special Tom Thomson programs for 2017. The City of Pickering will highlight that Tom was born in Claremont. Angie will speak at the Pickering Township Historical Society on Sept. 12, 2017. Tom Thomson holiday book set now! Having the Honourary Patronship of this extraordinary exhibition arranged by Franz Tiedtke for Hohen Art was as great as meeting my good friend MAF Raederscheidt again. biography, history, art and food. "Tom Thomson's Toronto Neighbourhoods" and check out the NEW YouTube video and webpage! West Wind: The Vision of Tom Thomson, a film by Michele Hozer and Peter Raymont, screened at the TIFF Bell Lightbox in 2012, followed by Q&A with the filmmakers. The film was also screened at the Lakefield Literary Festival July 20-23, 2012. Catch my 15 seconds as a talking head, filmed in the Leith Church and the Thomson homestead, Rose Hill. The film is lovingly shot and brilliantly executed. Research kudos go to Nancy Lang and Rebecca Middleton—sleuths par excellence. I love comparing notes with them. Check Neil Lehto's website for more Thomson material.